Summer is technically over. It is Fashion Week in New York. All my favorite cooking magazines have recipes for slow-cooked stews, and Starbucks is selling pumpkin lattes. Hobby Lobby has set up 14 aisles of Christmas ornaments. Here in Austin it is still 95 degrees. So screw all that. For now I’m clinging to the benefits of Texas’ warm weather: fresh local tomatoes and herbs! This summer I conjured up this wonderful sandwich to use up an abundance of local tomatoes and garlic chives, and both ingredients are still growing strong here in Texas. They should stick around until it’s cool enough to sleep with the windows open, so we’ll be enjoying this delicious summer sandwich for at least another six weeks! I count it– with Texas football– as one of the best parts of Autumn in Austin. 1. Hold the bunch of garlic chives tight with one hand, like a ponytail. Use scissors to snip them into a bowl. Snip snip snip! 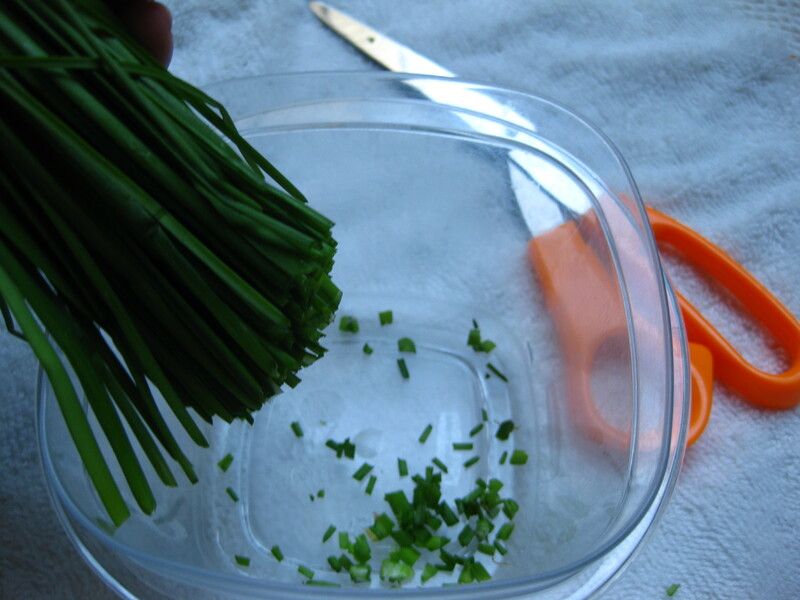 The tighter the “ponytail” of chives, the easier it will be to snip uniformly. 2. 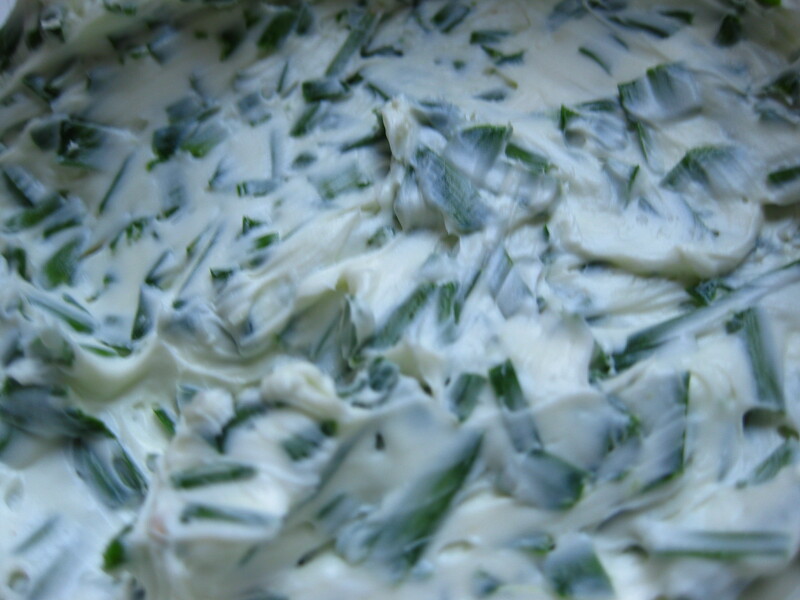 Once chives are snipped, add the softened cream cheese. Fold the mixture together until the chives are evenly distributed. 3. Spread the cream cheese on both slices of bread, slice the tomatoes, and make the sandwiches the usual way. I like mine with lots of salt and pepper, but Rami takes it straight. This entry was posted in Lunch, Recipes, Vegetables, Vegetarian and tagged Chives, Cream Cheese, Lunch, Sandwiches, Spreads and Fillings, Tomato. Bookmark the permalink.